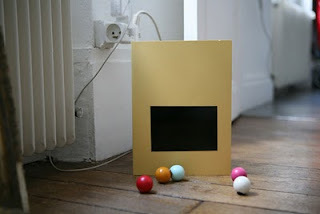 "it is about squares, rectangles and reproduction." "At once examining the distant and the close-at-hand, this photographic series follows the making of a small plane until it escapes into a space that is both abstract and tangible. Hand numbered and signed." 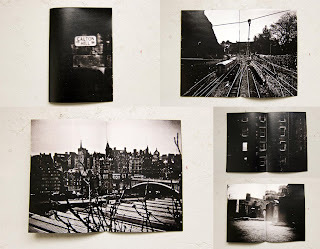 28 Pages, 14cm x 20cm / 5"x8"
"Film photographs taken one morning around Edinburgh city center, starting at Calton Hill and working over towards the castle." "This is the first in a new 'Routes' series from PPP that features photography from small and large, town and cities explored using specific routes. 'Routes 1' began by plotting routes that I regularly take around Preston including my walk to work, trip to the park and the number 31 bus. These routes were then used to explore Paris." 32 pages / 5.5 x 4.2 inches. Price: 10 USD plus shipping. This book was inspired in some ideas about the psychic life of plants first written down by German philosopher Max Scheler in his book The Human Place in the Cosmos. It contains a series of polaroids created by the author by means of experimenting with a set of new polaroid photo films, light and puncturing techniques to create plant like shapes and colors. "Conditions examines what it means to choose one’s own way of life. It portrays people who lead a free and independent life, and who have to learn how to cope with freedom, to find their own unique way. Conditions shows pictures of people who long to be socially accepted without having to conform, people who are 'on the road,' searching, hoping and doubting." 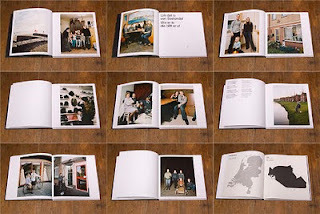 "...photographs of trees, taken by Van der Weijde over the past few years. The list of places where the photographs were taken includes different locations in Europe and Brazil, such as the elementary school Adolf Hitler attended." 24 Pages, 14cm x 20cm / 5"x8"
"The wife is at work, the son is at school and i’m stuck in the new apartment. With a cup of coffee and my video camera. Wow, those dogs are so cool…"
"A Slow Book. 30 Photographs - Landscapes and some other things." 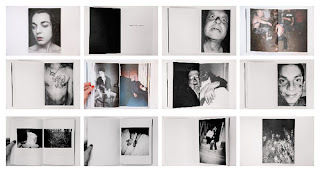 "Bela Doka, in his series titled 'Sundays of Life', charts a challenging path for himself. How do you photograph the quotidian moments that, while not dramatic, form the core of life’s pleasures and satisfactions? 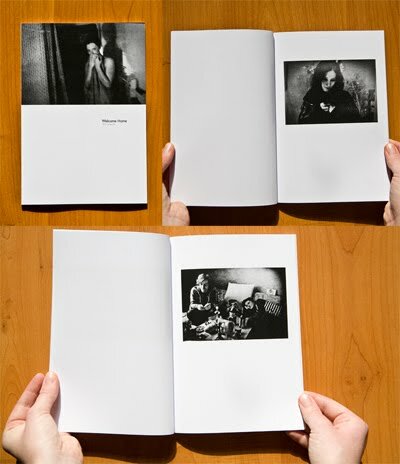 Evan Mirapaul"
"The Nerves photobook describes in three chapters five years of the photographer’s experience that explores the human fragility in the hysterical universe of the night to solitary confinement and intimacy of the psychiatric institution where she stayed." "FiestaFiesta is a collection of monographic zines about a work of a photographer"
104 pages. 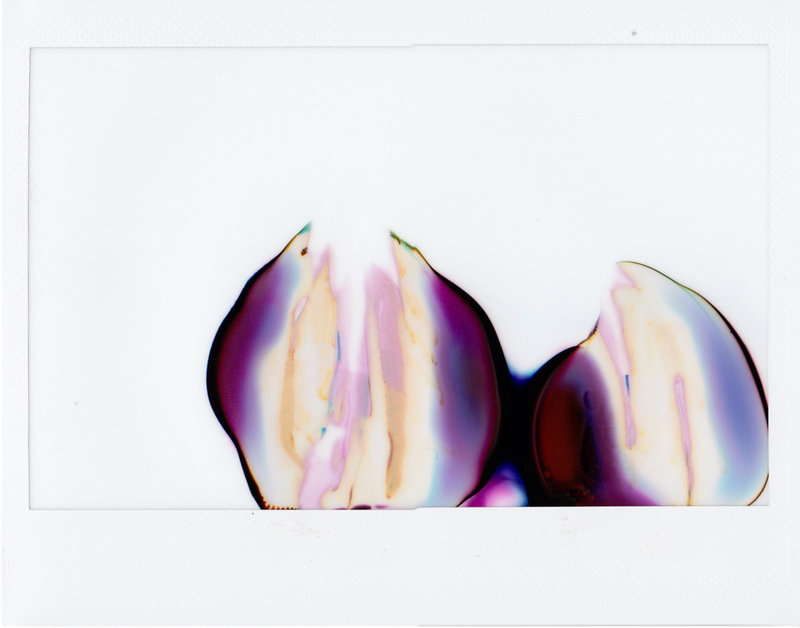 17,6 x 22 cm. 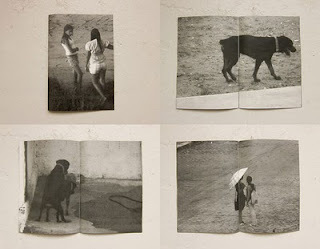 "In this book the Portuguese photographer Patrícia Almeida takes us on a summer holiday to the beach. Portobello, a place of seasonal intensification like a trademark (Portobello™) synonymous of Eternal Summer." "Urk (Netherlands) is the village I grew up and left, contrary to what is proclaimed in the local anthem: 'Urk's a sweet place to be, Who is there will stay there'." "The night of New Year’s Eve was the first time i took a step into the apartment where Mario, Ronja, Rina and Patrick live in. 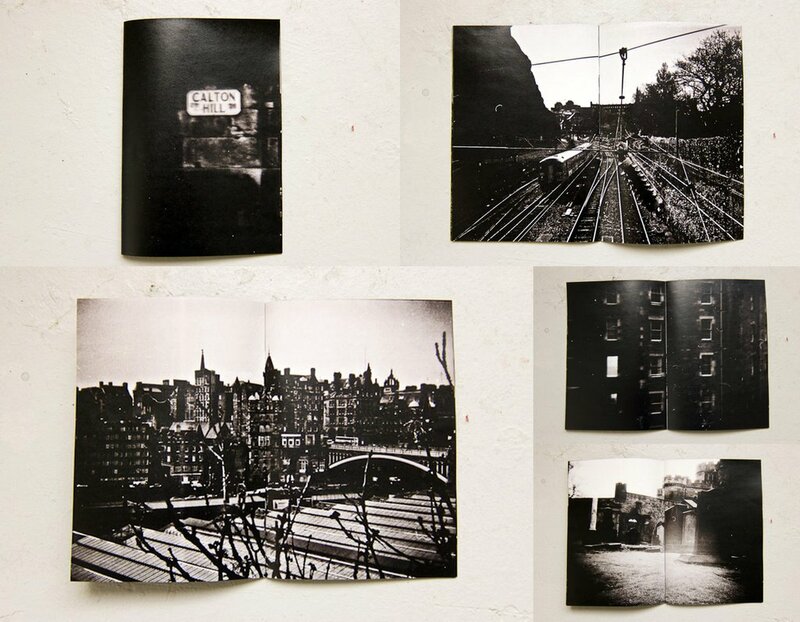 I started to photograph the life in that flat and it´s relationships. That´s what it´s about – when friends become a family." 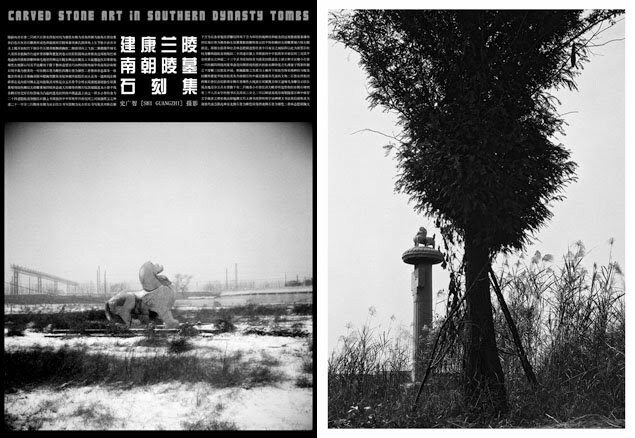 "The cultural relic concerns the history, while sculptures concern art. This book about stone animals dispersing at Nanjing and Danyang. They have been standing in the wilderness for 1,500 years, In these carvings,there are cultural and history,stories and myths. 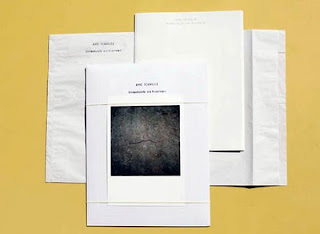 The photographer spent two years to take photos of these sculptures.The limited edition photobook is a collectible item." 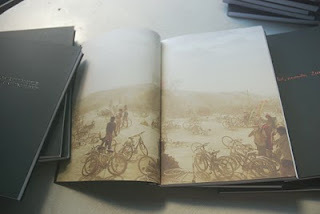 "WINKEL is a monthly photographic publication about wandering, wastes, rubble and lost tracks..."
"For the first thirteen years of my life I lived with my parents in the Auckland suburb of Mt Roskill. Our family home was a modest, two bedroom, flat roofed, weather-board house, which my father had built around 1940. Now, after more years than I care to think about I’ve gone back to look at my past. 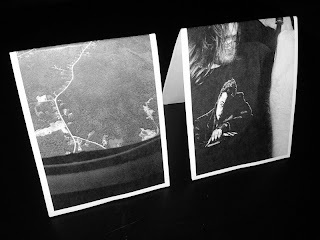 Here are some photographs." Edition: 50 hand numbered with 2 different covers. 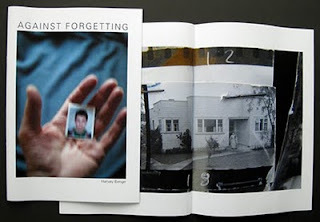 "Photodocumentation from the field is a photography blog and zine created by Alexandre Lemire. Images of odd and awesome things are taken with a cameraphone and posted instantaneously to the weblog by email. The quarterly zine serves as a tangible rendering of the best images, complete with their title, date and time of posting." 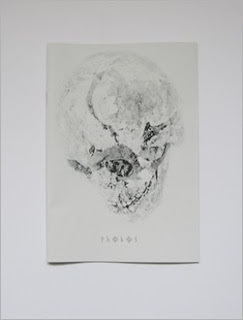 "The zine is called PHOBOS and mainly inspired by the same-named personification of terror in the Greek mythology. PHOBOS was the son of war god Ares and he accompanied his father into battle, spreading panic fear among the enemies. 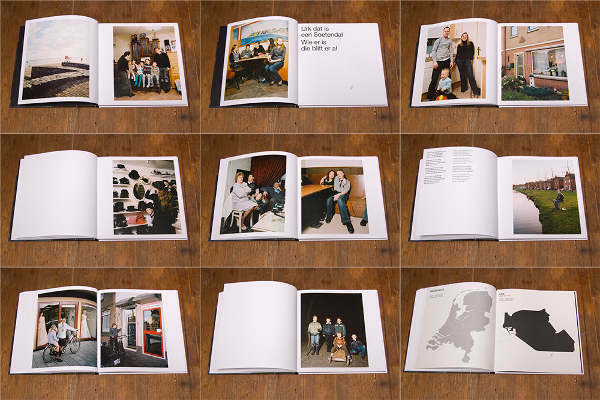 The works in the zine range from the skulls of Celtic warriors, to medieval kings and the weaponry of trench warfare." Samantha Casolari - "Ode to Street Hassle (The Boys Are Keeping Secrets)/untitled, nevada 2007"
"It's composed of two little stories. On one side 'Ode to a Street Hassle (the boys are keeping secrets)' regarding Men's Fashion week, and on the other side 'Untitled, Nevada 2007' on Burning Man." "'A Nos Amours' ('To our loves') is an exhibition that was first shown at the Sugar Gallery in Portland, Oregon USA in May 2009. 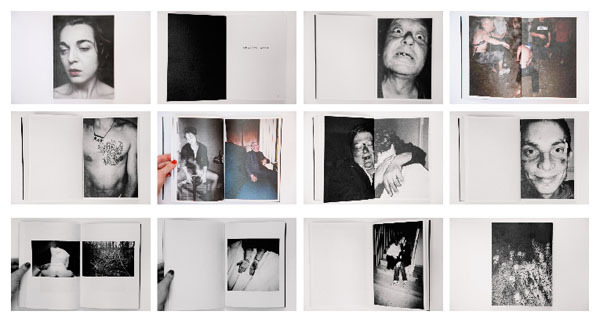 The two visions of the photographers meet at the heart of the same obsessions: the body, intimacy, and the cinema."